For those of you who I have not had the pleasure of meeting in person yet…here I am! 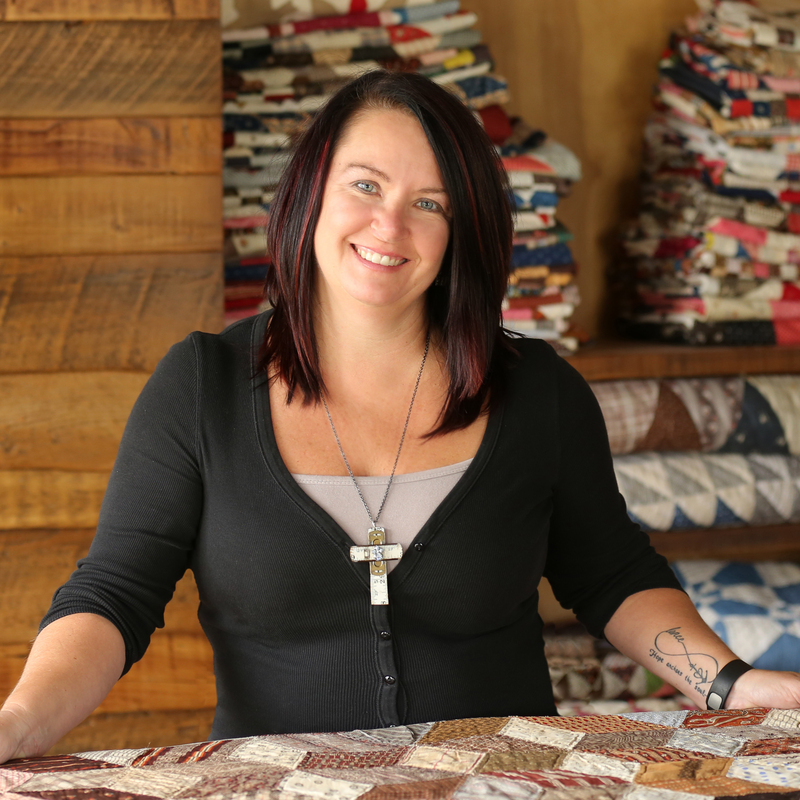 I’m Lisa Hoefler Bongean…This was taken for my designer profile for Moda Fabrics. I am married to Nick, the love of my life since 1998…I am the mother of 3 sons, Lance , Luke and Jake. I live on the lake in WI. I love to quilt (of course), garden, read, hunt for antiques and other treasures, we as a family enjoy boating, jet skiing, paddle boarding and just being active. Nick and I own Primitive Gatherings Quilt Shop in WI and CA and travel the US going to the big quilting shows where I have the opportunity to teach and share my quilts across the country along with quilting guilds and other shops. Hope to see ya soon! I understand the love of your life! My daughter is 32 and my son is 30, and I married the love of my life in 1999! It is the best and makes everything else in your life that much more special. I hope to get to meet you some day. I think we are cut from the same bolt of cloth! How do I sign upfor 2014 Sbow? You are beautiful, Lisa. Its so fun to put a face with the “creative spirit” I’ve enjoyed for the past few years. We are probably close to the same age, but I started late in life so my kids are 9 and 7, smart and full of energy. 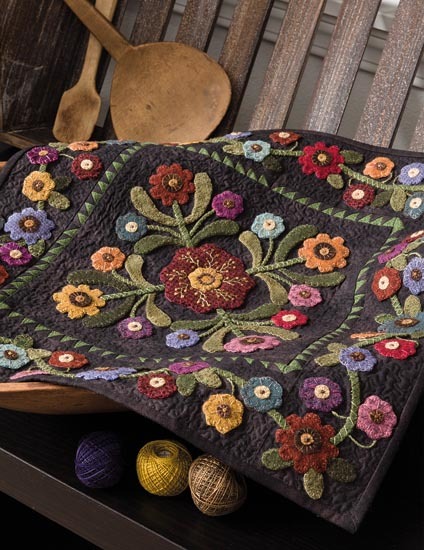 Makes it hard to quilt and stitch and work out my own designs as I desire – I feel like one of those “made artists” you so many times see movies about – how they are a bit nuts, disappear into their studio for several days because an idea has caught fire, and come out calm and sane. Only I never get 2 or 3 days to “get it out!” I think I’m going bonkers with ideas and desires to create – so I envy you! But only in the way that I want to join you – not replace you! One day – my little “loves of my life” will be big and I will miss these times – so I will cherish it now. oops I meant “mad artists” (but you probably knew that). Just found your blog through a quilter in Victoria. I am just starting wool applique and am so excited. First have to finish up the wedding gift quilt I’m doing for my granddaughter, but as usual so many irons in the fire. Two years ago while I was on our quilt guild bus trip I noticed quite a few ladies working on wool projects. When I asked where they had gotten the inspiration, they told me about your store and website. After I got home, I went immediately to my computer and looked at your site. I was hooked! It started my journey in wool and I haven’t looked back since. Now, whenever I get your newsletter I know that I will be ordering something new. I am so addicted to your creations and projects. I love the block of the week for summer and am doing well at keeping up. It helps to be off work during the summer! In the meantime, I’ve introduced my mom to wool work and she has become a convert, not only to the craft but to your store. She lives in Florida and came up for Paducah. I think she only came because she knew that you were exhibiting and she would have a chance to buy in person! She and I are both doing the Crazy Ladies and having a great time. I hope to be able to visit the store in person sometime soon. We live about 4 hours away so I think a girl fieldtrip is in order. Keep up the good work. You have many fans! I am enjoying your blog – found your pattern for the little thread catcher. I was wondering if you would give me permission to use the pattern in a newsletter I do for the Lacemakers and Collectors Exhange from Clarendon Hills, Illinois. I need an answer ASAP because I am working on the Fall issue right now. the lace makers are a neat group. I know they will love the little thread catcher as it will be very portable for them. I hate to sound dumb, but I can’t find the email address for your shop. Could you please let me know? I have ordered Valandini Pearle cotton #12 from you it was a dark green that I ordered separately. Would you have a record of my purchase so I can recall what color it was. Let me know. I have a very good friend that attended the Atlanta show just afew weeks ago & she has told me all about your wonderful booth. Also how she just had to purchase wools, patterns etc from you even though she didn’t really require any. So when she told me about you I just had to pay your site a visit. My conclusion I AM IN HEAVEN !!!!!!!!!!!!!!!!!!!!!!!!!!!!!!! A friend & I are travelling from the UK next week to Houston & I have been told you will be there also ……………… I can’t wait to meet you. I can see me getting into sooooooooooooo much trouble lol. Ive looked over your blog…love it of course. Creativity rocks! Nice recipes too. I’ve never had the equipment to can foods but you make it look simple…you inspire me to get out and get some! I’ve been growing more tomatoes each year but never anything steady. Weather hasn’t cooperated but since it’s cold I’m planning now for a summer full of ’em, and on the next Winter with shelves loaded with full jars. Thanks for the inspiration. 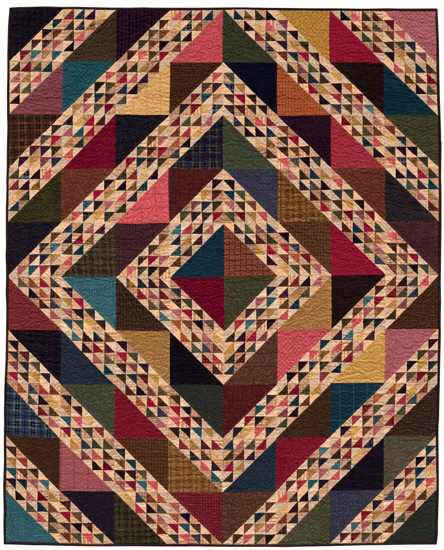 Just received a 1st place in the Highlands County Guild Show for my Folk Art Album quilt. Look forward to meeting you in Lakeland. Wish to know more about the cruise in 2012. Hope your not going to teach some ditsy island style pattern. I made your recipe for the Double Chocolate cookies and mine turned out as flat as pancakes. They were not puffy and crackled like yours. What did I do wrong? I used a cookie scoop a little less than the size of a golf ball to form the cookies. The cookies were delicious, but I want them to look like yours! Looking for the Fall BOM that will be $30 per month and include everything but I haven’t been able to find it on the sites mentioned in the most recent email. Help! LOVE YOUR SITE AND BEAUTIFUL PROJECTS! Hi Lisa. 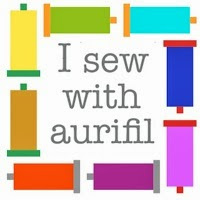 l live in Melbourne Australia and have been so thrilled to find you and read all about your passion for your crafting and passion for your life. l had gone abit flat on my quilting and lost my thrill of stitching but you have got me back into it and l just look forward to your e-mail so much…. So a big thanks and look forward to ready more and more from you…. Michele. A person essentially assist to make significantly articles I might state. page and up to now? I surprised with the research you made to create this actual post extraordinary. your posts. Keep up the great work! You realize, lots of individuals are looking around for this info, you could aid them greatly. Great, great job. Go girl. Spend the money. We all want to see your fun loving, down to earth personality on U-tube. Saw you in Rosemont. Saw you in Grand Rapids. Crazy busy. Thankyou for the peek to see your family @ wedding. I can’t find a place to email you directly so will leave a comment here. I’m a fairly new viewer of your blog. Your son’s weeding pics showing his last name caught my eye. Can I talk to you about a family/genealogical connection please. Can you email me directly please? shared this fantastic article at here. Will try again, noticed you are on the water, could he have worked in a ship yard? I do not leave a response, but after browsing through some of the responses here who is LB? Thanks for some other informative web page. Wherever otherwise may possibly I am that type of data designed in a really excellent strategy? I get a starting that I’m simply now operating for, and that i are actually within the watch out for such information. Can you tell me where I can purchase the Primitive Garden pattern? I love it!! I bought the snowflake quilt pattern this summer at a shop hop…love snowflakes. Anyway started making it, I had it all laid out ready to sew blocks, setting blocks & setting triangles together. Other things were happening and had to put it away. Now I’ve gotten it out to sew together…something is not right with the setting triangles, found my instructions, but not sure if I’m missing a page. The setting triangles don’t seem to be the right size. The side ones were cut 10 inches, cut on diagonal twice, they seem too big. Measured my blocks they are 6 1/2 inches. What have I done wrong? The 7 inch squares I cut twice on the diagonal and not sure If they are the right size. I can’t find anywhere in the directions about cutting these, that’s why I wonder if I’m missing a page. Please help! LIsa, I would like to know if you have a pattern, kit or book that would have the info on this item on Pinterest. http://www.pinterest.com/pin/127437864429711427/? I can’t seem to find out when to purchase the pattern. In this tutorial, I will show you how to setup your site information. I’ve picked five of my favorite funny blogs to share with you. “Many of the most successful bloggers today make poor incomes despite significant traffic. Insight – Gift suite, Fossil watch, cap, Ogio Convoy backpack. about what you can expect before, during and after an operation is to schedule a consultation with an experienced eye specialist. The optician will dispense lenses to those who need them. Hi Lisa, your book “Autumn Gatherings” I discovered is currently out of print. Do you know if there will be a reprint in the future? Sorry…it has already been reprinted. We have published single patterns of most of the projects from the book just recently if there is something you are looking for. I saw had 9 little blocks. I have ordered the finishing kit for it also. Please advise. Thank you. of that fabric for a background . Please advise. thank you. and mako shark. These baits range from chicken blood to old moldy bread being used. service can be read and understood by the customers. because of their fearfulness of needles or other parts of the process, but anyone can overcome these fears. Enhance Dental Caare 12-20 Douglas Woods Drive SE, Calgary, AB. Love to build my stash and think this would be a great way. PS. I love your Murrieta Ca store. I live close. We do have a Club like that starting up in September. Please take a peak at Under our BLOCKS OF THE MONTH button and you will find it located there. Please also make sure that you sign up for our emails to ensure you receive all of the fun happenings at the Shop. small pieces with accuracy – the lines are easy to read and the ruler provides a nice grip. I hope to get the 5×15 soon. They are well worth the extra investment. Red and white quilt, but am enjoying it. Merry Christmas to you and your family, as well as your staff! Thank you so much for the designs that you generously share with us and the great supplies you provide. I love little blocks and was an early purchaser of the wonderful rulers. I had to stop cutting blocks this morning to have a cup of tea and say than you! Those extra lines on the rulers are fabulous and the smaller inch numbers make it much easier to stay on the correct line. Have purchased the longer 15 inch one as well. Is there any chance that you will have them make an 81/2 by 121/2 ruler it is my go for cutting borders because I like the 45 degree lines. OR will there be an 8 x 8 inch ruler with the diagonal line along with the smaller inch numbers and 1/8 and 1/16 markings. Please consider it, thank you. I am very interested in the May basket welcome banner listed for $20.00. How do I get this pattern? Is there a way to purchase the “Magic of Christmas” blocks or patterns? Somehow, I missed these and when I clicked on them, it wouldn’t open – perhaps, too long ago. Love your blog, patterns, etc. and thank you for sharing so many wonderful things! How do I contact you about lecture and workshop for a Northern California workshop in January or February 2018? I would like to know if it is still possible to purchase the Magic of Christmas pattern 2016. I see it was originally a stitch along. 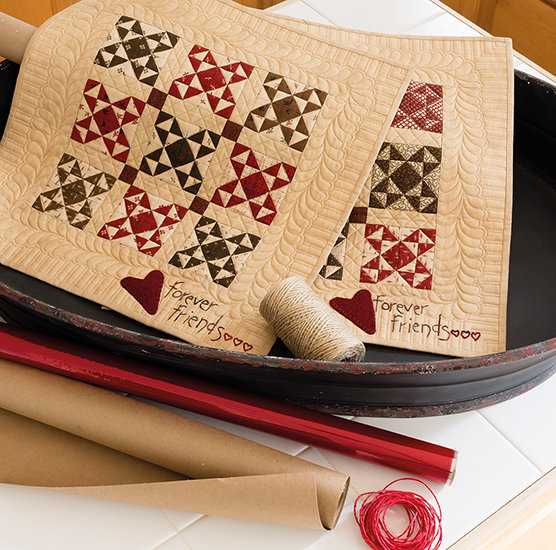 Love the quilt display on the wall in your sewing room. Can you share what you used for the strips on wall to hang quilts? Lisa, I love the way you display your small quilts on the wall. Please tell me what kind of clips you use to hang the quilts on the yardsticks. Can’t find anything like that. Thx!